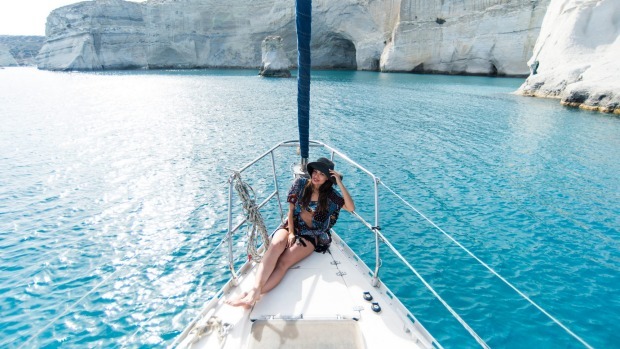 Greek islands, including Milos, are on the itineraries of Celestyal Cruises. Despite a recent spate of accidents involving cruise ships, it seems that cruisers – and would-be cruisers – are a resilient lot. Viking Sky hit the headlines when it broke down in a storm in Norway and dramatic footage of passengers being airlifted to safety were beamed across the world. Thankfully, nobody died and no doubt investigations into the incident will lead to improved practices. You might expect that travellers would be rushing to cancel upcoming cruises but it seems that it would take an incident of Titanic proportions to make a dent in demand. A couple of weeks after the Viking Sky incident, Flight Centre spokesman Haydn Long says the company is not seeing any real impact on bookings. "It's still fairly early, but people are not voicing concerns to us and we're not expecting any noticeable shift away from cruising. "It's hugely popular and customers tend to be highly experienced travellers who probably recognise that while it's generally going to be smooth sailing, Mother Nature issues can sometimes have an impact." As we've mentioned many times, the cruise business continues to boom across all sectors, from family-friendly big-ship cruising to ultra-luxury expeditions. 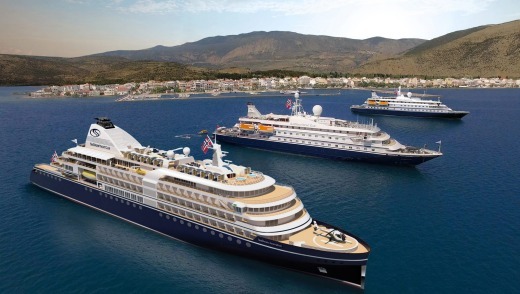 Another area attracting considerable attention is somewhere in between these extremes – smaller companies operating older ships that offer a more traditional style of cruising. 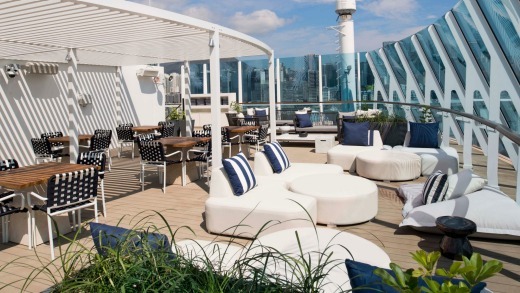 At the recent launch for under-the-radar Celestyal Cruises' 2019-20 program, Asia Pacific regional manager Stewart Williams referred to the "pent-up demand" for both the line's Eastern Mediterranean itineraries and its budget-friendly, all-inclusive cruising. Celestyal is based in Greece (its headquarters are in Cyprus) and operates two mid-size ships, the 1200-passenger Celestyal Crystal and 1664-passenger Celestyal Olympia. They sail mostly in the Greek Islands and this year are introducing new itineraries that visit Turkey, Israel and Egypt. Cruises are three, four and seven nights and run almost year-round, making the most of the mild, "off-season" winter months. The ships are well-appointed but unpretentious and while some activity-packed megaships are a destination in themselves, Celestyal says the destinations are what it's all about. Williams likens Celestyal's cruise style to "river cruising on the ocean" because the ships call at a port every day. He says the price point and all-inclusive fare structure are appealing to Australasian cruisers. "All drinks are included, we offer two free shore excursions on the shorter cruises and three on seven-night cruises. Gratuities are also taken care of – Australians generally don't like tipping so that is another bonus." WHO GOES THERE Celebrity, CMV, Costa, Cunard, HAL, MSC, NCL, Oceania, Princess, RSSC, Royal Caribbean, Saga, Silversea, Viking. 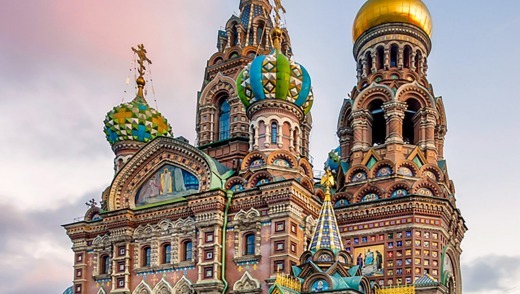 Visit St Petersburg on ecruising's epic 33-night fly-cruise journey aboard Azamara Quest. WHY WE LOVE IT Le Havre is billed as the port for Paris, but bus trips take at least 2½ hours each way. If you're only in port for a day, why not save the City of Light for a longer visit another time and explore this fascinating port city instead? After being flattened by bombs in World War II it was redesigned by architect Auguste Perret and is now a UNESCO World Heritage Site. It wasn't all destroyed, however; Quartier Saint Francois is one of the oldest surviving parts of Le Havre and dates back to the 16th century. TAKE A TOUR OR GO IT ALONE? Ocean ships dock at the Pointe du Floride terminal; shuttles run regularly to the city centre, about 2½ kilometres away. River ships tie up at Vauban Docks, a revitalised 19th-century industrial area that houses shops, cafes and restaurants. Because the city centre was built on a grid pattern, finding your way around is easy. Attractions include the modern-art museum MuMa, which houses the most important collection of impressionist art outside Paris; Perret's soaring, modernist St Joseph Church; and the striking Volcan arts centre. Tours to the medieval port of Honfleur are offered by cruise lines and local operators – you'll want to spend at least half a day there. Day trips to Bayeux, Mont St Michel and the WWII landing sites are also popular options. MUST SEE Hotel de Ville, where you can climb the tower for great city views; Jardins Suspendus (Hanging Gardens), a former hilltop fortress; Maison de L'Armateur, an 18th-century ship owner's house. MUST EAT Normandy cheese, apple tarts, cider and calvados, which you can pick up at the Les Halles food market or find in any good eatery; fish and seafood (Le Havre has a fishing port and daily fish market); and fine dining at Michelin-starred Jean-Luc Tartarin's restaurant. NEED TO KNOW Check in at the cruise terminal's information centre for maps, brochures, luggage storage and car and bicycle hire. More than 10 million cruise passengers visited Spain's ports in 2018 and more than 3 million of them went to Barcelona.